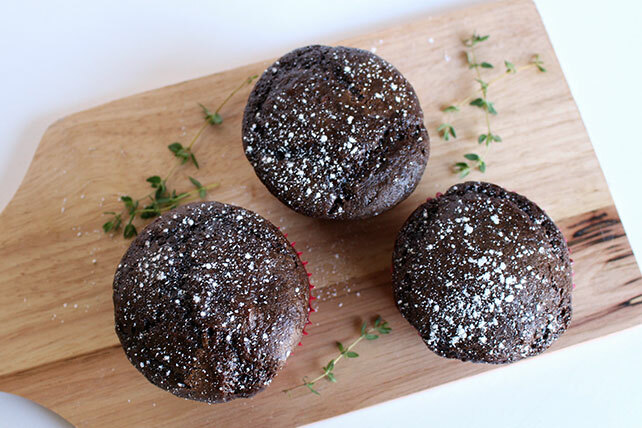 Try our new Chocolate Thyme Cupcakes for dessert. When you combine homemade mini chocolate cakes with chopped fresh thyme, you get one delicious dessert. Add all ingredients to a large bowl. Mix just until dry ingredients are moistened. Prepare cupcake tins with paper liners or nonstick cooking spray. Spoon batter into prepared cups. Bake for 20 minutes or until toothpick inserted in center comes out clean. Sprinkle with confectioners’ sugar if desired.